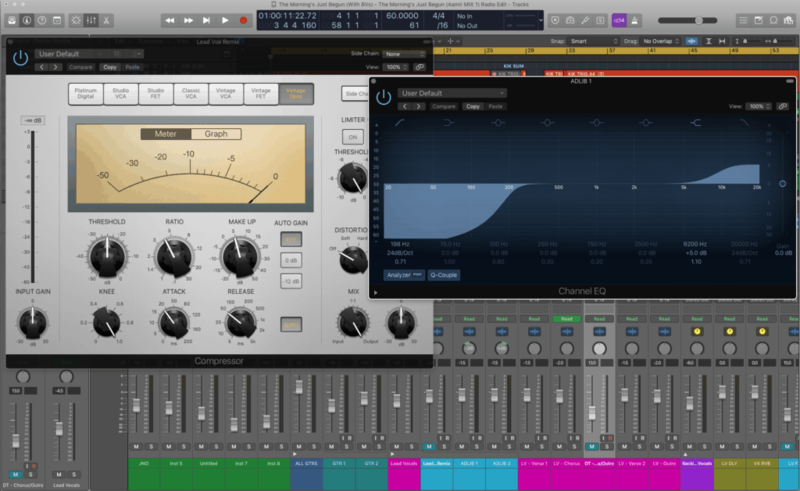 Which DAW is better - Logic, Pro Tools, FL, Ableton or Cubase? When I very first started in the early-nineties, we all used Atari STs with a whole 512k of Ram for sequencing MIDI and not much else. All the audio was dealt with using 24 track 2″ tape, with up to 3 slaved together synchronised using lynx synchronisers. Back then for sampling, we had the classic Akai S900 and S950 and later the Akai S1000. The two most popular sequencers were Steinberg’s Cubase and Emagic’s Notator. From what I remember, Notator looked like the event list in Logic and that was it. Cubase on the other hand was a lot more intuitive, giving us the ability to drag, drop, copy and paste blocks of midi information. Later on Emagic changed the name from Notator to Notator Logic then finally settled at Logic, long before Apple bought them out of course. I think before Notator, it was called Creator but let’s not go there! Speaking of Apple, in those days Macs were quite new on the music production scene and Atari STs were always thought of as more stable, and they were rock solid, timing-wise. So back then, Cubase was my sequencer of choice and I zipped around on it like lightning as I knew it so well. Towards the mid-nineties Macs were creeping in, they were better computers, even better than the Atari ST 1040 model; they had colour screens and it wasn’t long until we had the capability to record and edit audio to a degree. I remember once I was on a session with a producer called Ian Green at Metropolis Studios, and we were using a rack of Akai S1000 samplers so high, they were taller than Ian, although he isn’t the tallest bloke in the world! Obviously, the more samplers you have, the more outputs to plug into the desk and more importantly, in those days, the more sample time you had. I think we had lots and lots of backing vocals and he wanted to keep all the harmonies separate, triggered of course from the Atari ST running Cubase. We were chatting about computers with audio capability and I guess the first DAW. I’ll always remember that when we touched on audio capability, Ian asked me about plugins. I had no idea what plugins were! Things seemed to change faster in those days than they do now. I think now with 8 processors in my Mac Pro compared to five years ago when it was a dual 1.8 PPC, I’m still doing the same thing on it but just not thinking so hard about being economical with plugins, which then were not so juicy as they are now. That’s the only difference between 5 years ago and now really and the fact that people are finally realising the concept of DSP to be done outside of the computer’s processor is a dated one, with the exception now of UAD. Okay went slightly ahead of myself there, sorry about that – back to the olden days. As Macs were used more and more, Emagic Logic was emerging, and at one point overtook Cubase. People then were mostly either using Cubase on an ST or Emagic Logic on a Mac. Around about this time, I could see Macs running Logic were much better than Atari STs running Cubase, so I had to switch and had to learn Logic. I learnt Logic by changing the Logic key commands to Cubase key commands. I was amazed you could do that at the time, and I don’t think I could have got to any reasonable level in Logic in the time I needed to. All the key commands were stored in the one preferences file, and I would have easy access to my preferences file with my key commands, because I had emailed them to my Hotmail account. By this time a dial-up internet connection was usually in most studios’ office. Doing this was pretty impressive at the time, and I always made sure everyone on the session knew! For many years Emagic Logic on a Mac was by far the best all round DAW. Cubase had lagged behind massively; the MIDI in Pro Tools was appalling, and Ableton hadn’t been invented! There was a period when I beta tested Logic for Emagic, and they would send me updates first before releasing them to the public to go over, and gave them my feedback. I would try and make it break by pushing it as hard as I could; tell them the results of the tests, and also tell them if I thought any of the new features were useful. In 2001, Apple bought Logic from Emagic so that all stopped, and I guess they have guys in white coats beta testing full time now. You can tell this because of some of the stupid features they come out with, like the comp tool and the loop end tool for example! Why can’t we after all these years, adjust the length of a region from the left? Anyway, I’m not here to grump, but I think if they had more people actually making music involved in the development, it would still be the obvious choice DAW, but it isn’t. It’s only recently, and I’m talking in the last 5 years, Ableton has emerged as a contender with its intuitive and very creative session mode and warp marking. Although now we warp the audio instead of the grid in version 8, warping has been around for ages. I’ve been warping multi-track drums now for a long time in Ableton, and I’m currently working on a sample-based record with Russ Jay. I warped the sample in Ableton because it wasn’t originally played to a click as it’s that old! Logic have come up with Flextime but its not as good as warping by any stretch of the imagination! Also, in the last 5 years, Cubase has improved, particularly its audio. A friend of mine was showing me the way Cubase deals with the audio in a completely unique way just as Pro Tools’ playlist system is so different. Again in the last 5 years, Pro Tools’ MIDI has upped its game, and now there’s not much you can’t do in Pro Tools that you can do in Logic, and I know nothing about Pro Tools 10 which is bound to have further MIDI improvements. It was around seven years ago I sold my Digidesign HD3 and 192 system and swapped it for a G5 dual 1.8 with an Apogee interface. There were a few times my dual 1.8 PPC struggled and I wondered if I had done the right thing, but I persevered, and now I have my 8 x 2.8 intel. I can’t understand why anyone would need DSP on PCI cards these days, especially now Pro Tools 9 (and onwards) software supports native. I do wonder if Avid have shot themselves in the foot there, I do hope not, and pat them on the back for giving people more options. I’m sure there’s more behind their motives than doing it out of the goodness of their hearts! As for FL, it seems the DAW of choice for the new generation, so it could be #1 one day! More on this article, and the opinion of Pro Tools and Ableton user Al Riley here. Article written in 2012 | For free tips, tricks and tutorials, subscribe to our Youtube channel, like us on Facebook and follow us on Twitter & Instagram. We have locations in LOS ANGELES and NEW YORK as well as here in LONDON!